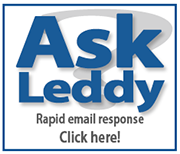 Enter the 2015 Leddy Research Question Competition for a chance to win 50$! Do you wonder whether science will ever produce 3D-printed replacements for human organs? Are you curious as to why cats rule the internet? Indulge your curiosity! The Leddy Library Research Question Competition invites you to submit your insightful, innovative, inspiring, or even humorous question for a chance to win $50! The Leddy Library Research Question Competition is open from Monday September 14th - 30th! In October, the top questions will be selected and posted in various locations around campus. In addition, the University of Windsor community will vote for their favorite of those top questions. 50$ Prizes will be awarded to the question receiving the most votes, a randomly selected question, and one randomly selected voter.